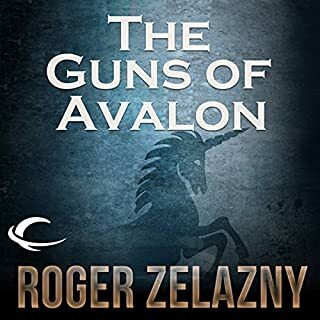 Sign of the Unicorn is the third book of The Chronicles of Amber; an epic fantasy series written by six-time Hugo Award winning and three-time Nebula Award winning author, Roger Zelazny. 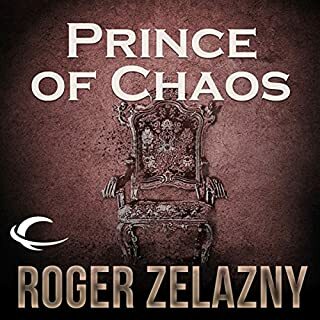 ©1975 Roger Zelazny (P)2012 Audible, Inc. There are a lot of positive reviews popping up in support of this rendition of the Chronicles Of Amber. They are well deserved. Very original and at times very funny. The narration is excellent. 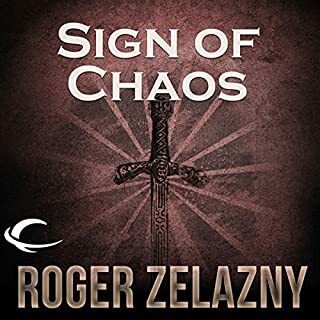 Roger Zelazny also wrote an excellent novel called the Lord Of Light and it was available through Audible in the not too distant past. Right now it is unavailable. As much as I am loving Amber, I think the Lord Of Light might be better and I encourage you all to request it as it is definitely in my top 5 and it should not be lost in the shuffle of publishing rights mumbojumbo. Request on, faithful readers/listeners. 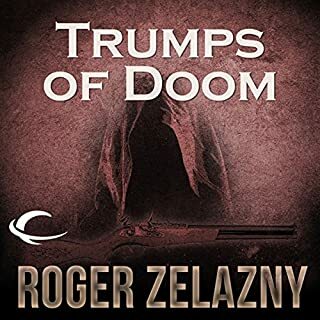 Another solid Zalzny fanasy novel (they are practically novellas). It is 3/10 in the Chronicles of Amber decalog, or 3/5 in the Corwin pentalogy. The family drama of finding the King/Father and understanding the Pattern, the darkness that is invading Amber. A bulk of the novel centers on a family meeting (a meeting of siblings) in Amber. It allows for stories to get told, and more of the background of what is going on to gradually unfold. Again, like the previous novel in the series, I'm still kinda luke warm towads it. It is good enough for a diversion, but I'm not seeing anything here that is either hyper-literary or revolutionary. It is B+ escapist fare (so far). Good enough that I have no issue coming back to it between other reads, but I'll have to decide if I want to just read the pentalogy or if I'll actually read the entire decalog. We will see. The Magic of Amber is there! What made the experience of listening to Sign of the Unicorn the most enjoyable? The book is made to be listened to. 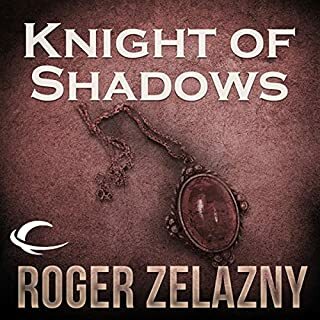 Zelazny's books are narratives, told by the main character. It's like sitting with Corwyn as he is telling his story. What other book might you compare Sign of the Unicorn to and why? Off the top of my head, I would say Tolkien's Ring saga. Those books also set an atmosphere where magic is natural and characters are larger than life. Which character – as performed by Alessandro Juliani – was your favorite? As in all of the first five books, the voice of the book is Corwyn's. He is my favorite, although I am kind of partial to Fiona, as well.She is one of the strongest female characters in the books. 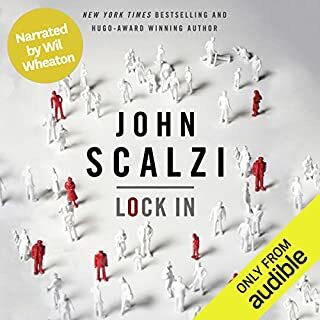 Would you consider the audio edition of Sign of the Unicorn to be better than the print version? A great performance to one of my favorite series from one of the best fantasy writers. Any of the young listeners to get to know one of the best writers in America. Corwin is just the glue that pushes this story along. Tough to pin down just one but I love the interaction between Corwin and Random. Great banter. As a young man I spent a great deal of my time reading the Chronicles of Amber. I became Corwin in his Adventures to Amber and into shadow. Sign of the Unicorn points us towards the climax of the chronicles. This reading, sorry, performance is just how it played out in my mind. Great job. 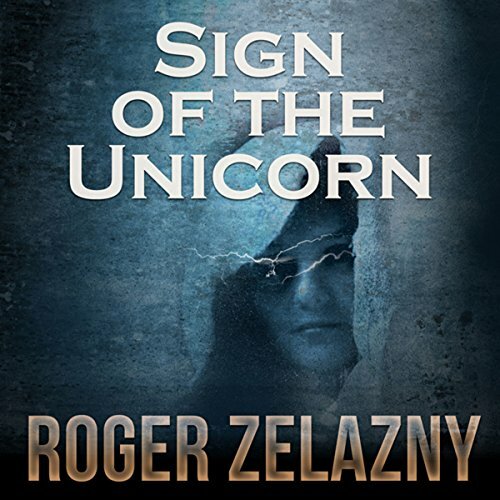 Sign of the Unicorn is the third novel in Roger Zelazny’s CHRONICLES OF AMBER. At the end of the previous novel, The Guns of Avalon, Corwin finally got what he wanted: Eric off the throne. Corwin is now the regent of Amber by legitimate claim and he holds the Jewel of Judgment which has powers over the weather and, as Corwin learns, other powers that may be dangerous to its owner. You’d think that things might now be easy for Corwin, but not so. 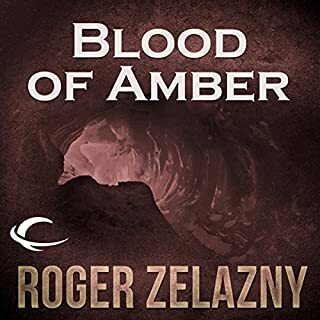 The forces of Chaos are crossing into Amber from the shadow worlds, and they must be stopped. But Corwin’s most immediate concern is treachery from his scheming siblings. One of them has just been murdered and someone is trying to frame Corwin. During the fallout, other murder attempts occur. It’s clear that Corwin is not safe as long as his siblings are alive, but he doesn’t know which of them he can trust. During his interactions with them he learns a lot of the history that he has been unaware of while spending centuries on Earth without his memory of Amber. 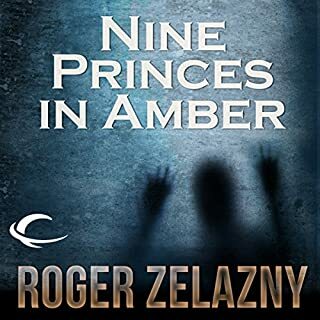 These stories slow the action but serve to enlighten us further about Amber, the Shadow worlds, how the trumps and the pattern work, the alliances between the siblings, how Corwin lost his memories, and what may have happened to their father Oberon. Of course, Corwin knows that some of his siblings may not be telling him the truth… Looking for guidance, Corwin visits Tir-na Nog’th, the city of moonlight. Instead of the answers he wants, he receives ominous visions which suggest that the real truth is even more frightening than the petty sibling rivalries Corwin has been dealing with. Sign of the Unicorn continues Corwin’s swiftly moving adventure. Things slow down a bit during this installment while the siblings tell their stories, but there are lots of revelations and plot twists to make up for that. One thing that’s lacking in these stories, so far, is a sense of what Amber is like beyond of the realm of the royal family. We see very few people who aren’t related to Corwin — not even household servants. The story is so focused on the family intrigue that we really don’t get to know Amber outside that context, which is somewhat disappointing. 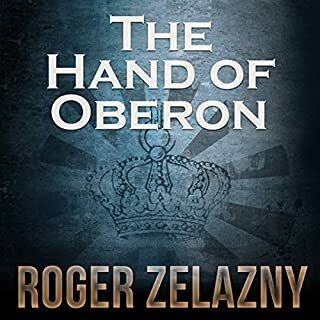 Sign of the Unicorn definitely doesn’t stand alone — you need to read the previous books, Nine Princes in Amber and The Guns of Avalon, first — and after the final revelation in Sign of the Unicorn, you won’t be able to stop there either, so plan to have the fourth book, The Hand of Oberon, ready. 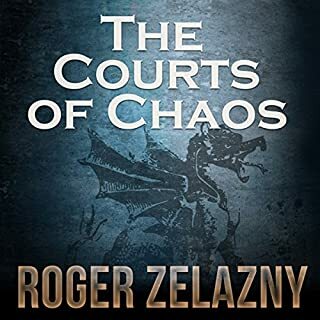 In fact, go ahead and get the fifth book, The Courts of Chaos, because the end of The Hand of Oberon is a doozy, too. I read the entire CHRONICLES OF AMBER twenty years ago and am re-reading them now that they’ve been produced by Audible Frontiers. Each installment is rather short (only 5 or 6 hours on audio) which was usual for fantasy novels published back in 1970. Some of them had been previously serialized before being released in book form. 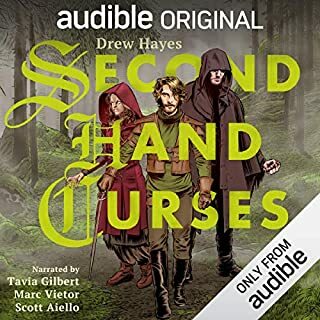 The AMBER CHRONICLES are short and entertaining, but the length of each volume is something I’d consider when deciding whether or not to spend an Audible credit on them, especially since there are 10 books in the series (divided into two ARC). 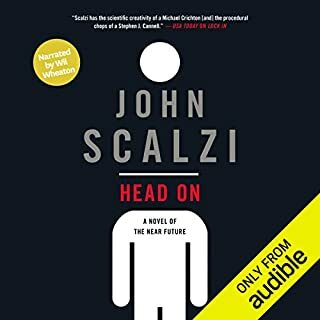 They are relatively inexpensive, though, and they’re certain to show up in Audible’s frequent sales. Alessandro Juliani does a great job with the narration — I really like him. Every chapter in this story gets better and better. The excitement is building and I can't wait to see what happens next. the reader turns it into a even greater Adventure! it truly comes to life. amazing!! I wished I had read these sooner.